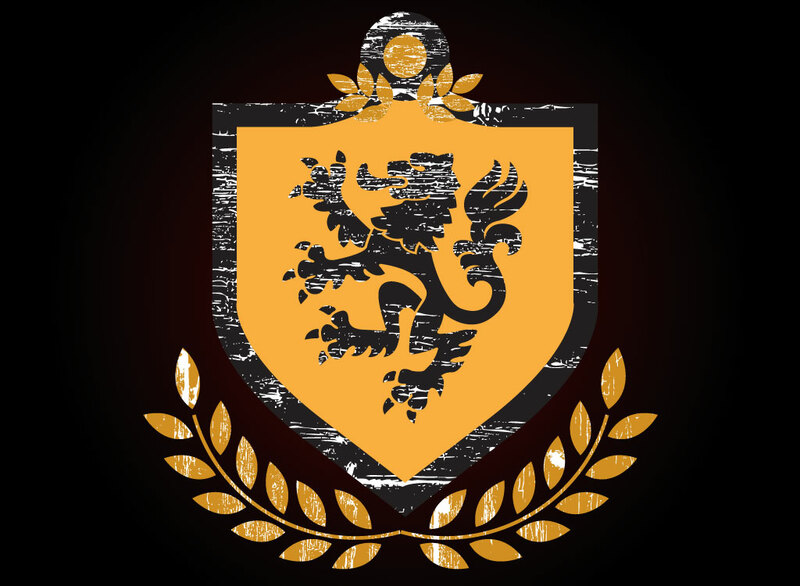 Free vector shield emblem with crouching lion and leaf design. Modern take on medieval illustration theme. Download this cool lion design for your t-shirt and poster project. Great elements to be used over and over again along with a very nice distress texture. Tags: Coat Of Arms, Heraldry, Lion, Logo, Medieval, Shield.